Batman Classic 1966 TV Series Logo Cookie Jar:Holy cookie jar, Batman! Based on the classic 1966Batmantelevision series, the Batman 1966 TV Series Logo Cookie Jar is bat-tastic! 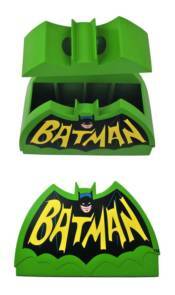 Store your goodies in style, just like Bruce Wayne!